Lena, the primary inspiration for “There’s a Dog in the House” and Home Design for Dogs, died in June. It’s taken me this long to gather my thoughts. My father died nearly 20 years ago after a prolonged illness due to a type of dementia known as multi-infarct dementia. It isn’t as well known as Alzheimer’s and while both have dementia in common, Multi-infarct dementia is quite different. Like any dementia, it progresses relatively slowly and can last many years. In my father’s case it was about 8 years total. In the end, he had changed so much from the person I knew that by the time he died, it was extremely difficult to remember him otherwise. Over time though the person he had been became more clear to me. The same has been true for Lena. Her life had been full of trials and tribulations. When she was 6 years old, Lena required spinal surgery due to severe compression in her neck. The surgery left her temporarily paralyzed – read about it here. While she regained full mobility, within a few years she started to move a little more slowly. When she was 9 we discovered a lump on one of her forelegs. It turned out to be a soft-tissue sarcoma. 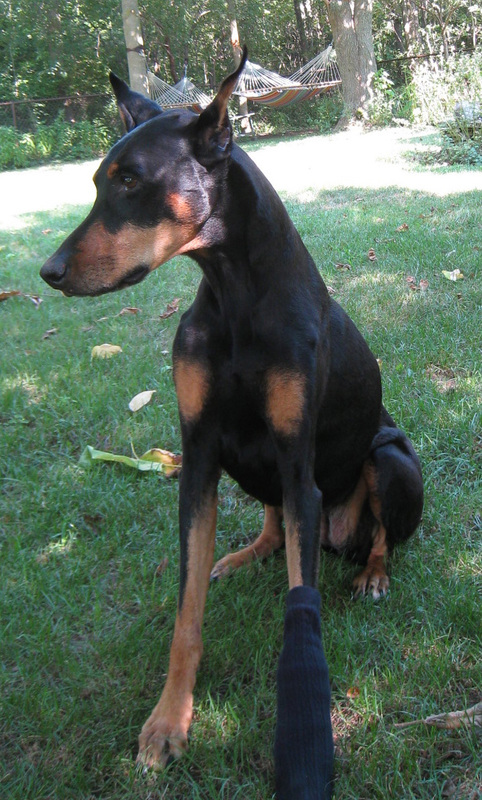 After the tumor was surgically removed Lena was treated with radiation at Cornell Veterinary Hospital. She did very well through the treatments and continued with fairly normal mobility for another year and a half. She was often slow, but she was able to take daily walks with us. Gradually she became worse. At first she had difficulty with stairs. Occasionally, on walks, she would just stop and want to go back. Her appetite and attitude always remained strong, so we just kept going. We moved in the summer of 2013 and that helped because the new house does not have any stairs. She was able to get in and out of the door and get up and eat. After awhile though she was not able to do either of those things and I found myself carrying her in and out of the house so she could relieve herself. She could still stand, but walking was quite difficult. Veterinary advice suggested that she might be able to continue for quite some time and she did okay for awhile. Throughout this period we had taken her to several different vets and tried many different things. In the end nothing seemed to help. After two years, her mental attitude, as well as her physical condition had really gone downhill and as hard as the decision was, we decided it was time. Lena was 12-1/2 years old. It was very hard for me to remember her as the healthy, active dog she once was and I am only now starting to see glimpses of that dog. After she died, a friend wrote to me and reminded me that Lena had been the primary inspiration for both the book and this blog. 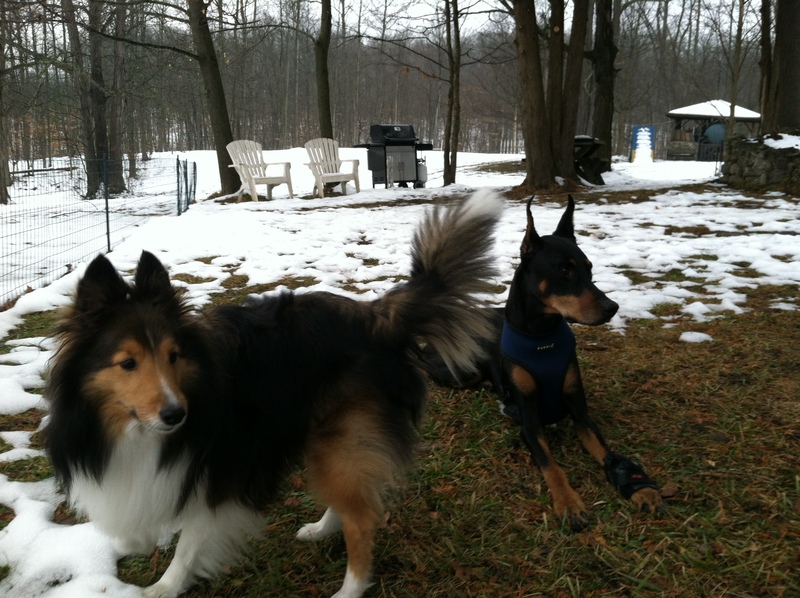 That was true, but she was just a wonderful dog who made us happy, and that is how I would really like to remember her. This is a very short podcast that I did last year as part of an author spotlight but the link had been removed so you may not have heard it! Original Dog Play Room with modular carpet (from There’s a Dog in the House: a Practical Guide for Creating Today’s Dog Friendly Home). The official start of Winter is rapidly approaching and soon many of us in colder areas of the world will be spending more time indoors. No matter where you live if it’s too cold, hot or wet outside, an indoor dog room is an ideal place for you and your dog to interact. Professional dog people are familiar with this concept but this is still a relatively new trend for most dog owners. 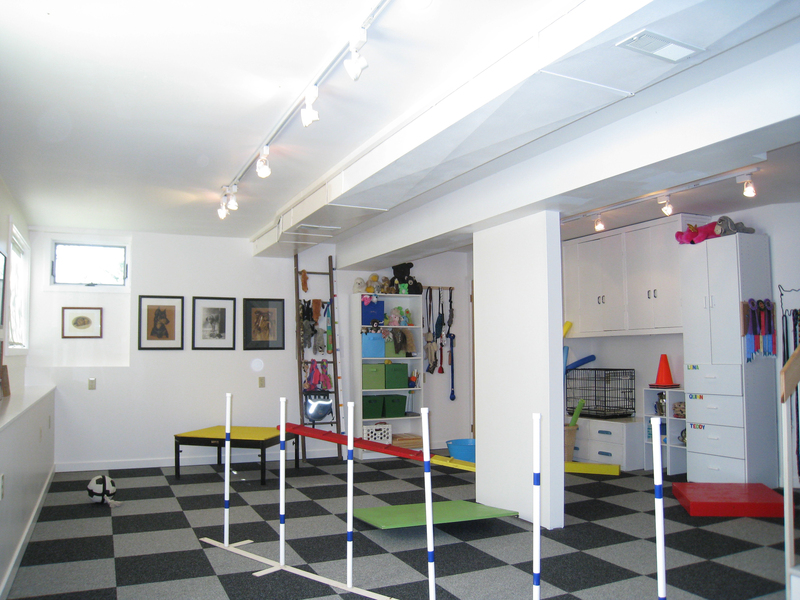 The spaces range from separate areas to groom, train, exercise or just play with your dog and store all of the accessories associated with these activities. Professionals often go one step further and build, buy or rent a space large enough for their chosen activities. 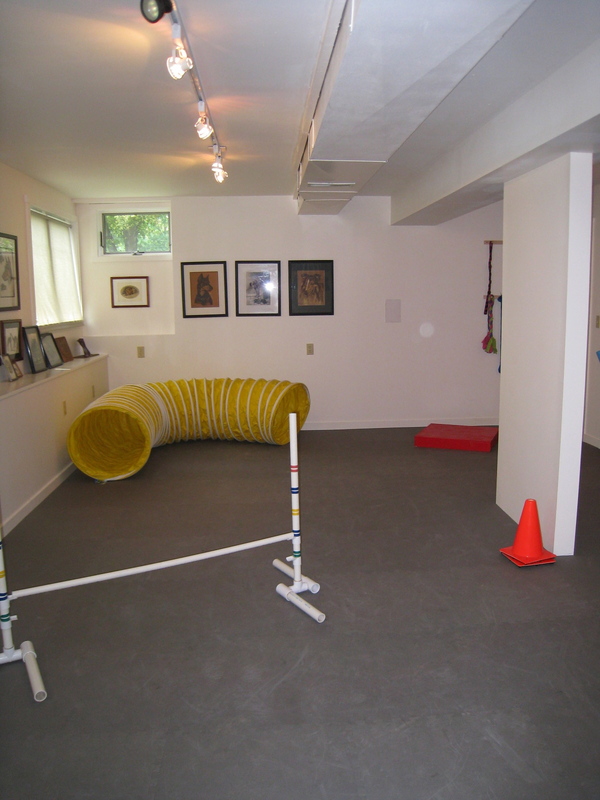 If you can’t afford to create your own space many dog-training facilities rent spaces for an hourly fee. Artist Father John Giuliani of the Benedictine Grange monastic community in Redding, CT.